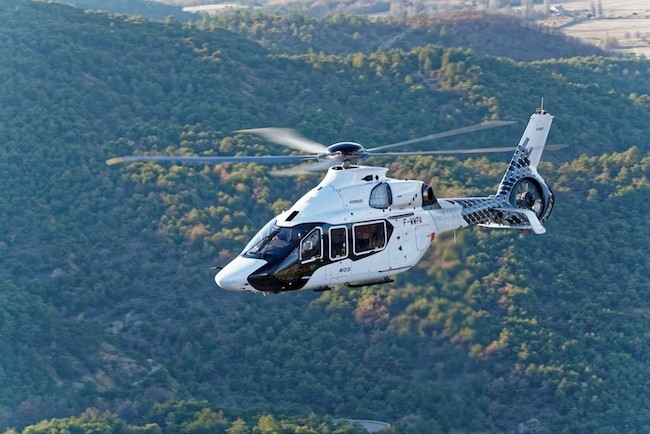 Airbus Helicopters has signed the first order for one H160 with an undisclosed customer in Brazil for private and business aviation operations. This order, the first from a Latin American customer, came after a flight demonstration in Marignane where the customer experienced first-hand the step-change in passenger comfort that the H160 brings to the market. “We are proud to announce the first sale of an H160 in Latin America where it has a lot of potential as we have been seeing a lot of interest in the aircraft,” said Mesrob Karalekian, Head of Latin America at Airbus Helicopters. “It is easy to see why the H160 appeals to private and business aviation customers as it is not only stylish but its cutting edge technology offers passengers an elegant, safe and extremely comfortable way to travel” he added. The H160 has been designed to offer all its passengers, whether for private and business aviation flights, Oil and Gas passenger transport, emergency medical services, or public services missions, with an exceptional flight experience thanks to the panoramic views provided by the large cabin windows, low sound levels, and smooth flight even at high speeds. External visibility for pilots is also highly prioritized with a large windshield, lateral and floor level windows that allow them to see below the aircraft when landing. This is combined with the visibility provided by the aircrafts’ cameras that can be displayed one of the four multi-functional displays in the cockpit. Helionix, Airbus Helicopters’ digital avionics suite, further contributes to the aircraft’s safety by significantly reducing pilot workload. Presenting the right information at the right time, along with the H160’s integrated automatic functions, allows the pilot to concentrate on the mission at hand. The H160 has also been designed to facilitate maintenance allowing it to reach levels similar to that of a light twin. The aircraft’s optimized accessibility has been praised by customers who have recently had the opportunity to fly in the H160 during its North American demo tour.